For the small business owner, there are tons of opportunities to leverage various social channels as marketing vehicles. Distributed content creation and free tools to generate marketing reach are MASSIVE wins for small business owners. Come on – you've heard it a million times. Local shop turns on their Instagram marketing efforts >> does a million dollars in sales over the next 12 months. Here's one you've probably read. Thing is, most small business owners just want to run their business. They want to rely, en masse, on young professionals to manage their online presence. To build their Facebook pages and get them properly onto Google My Business. By now, you’ve likely realized that this where you come in. If you’re someone that’s “plugged in” to the world of social media, you have a service to sell to businesses looking for outside social marketing aid. If you’re down to hustle, there’s hundreds of clients available to you!! Think about it this way – let's say you built a social media package @ $600 / month. One where the profit to you was $300 / month. And you decided to grow by 5 clients every month, (a reasonable and measured pattern). By the end of 12 months, your business would be doing north of $36,000 in monthly revenue, and you would be taking home $18k every month! 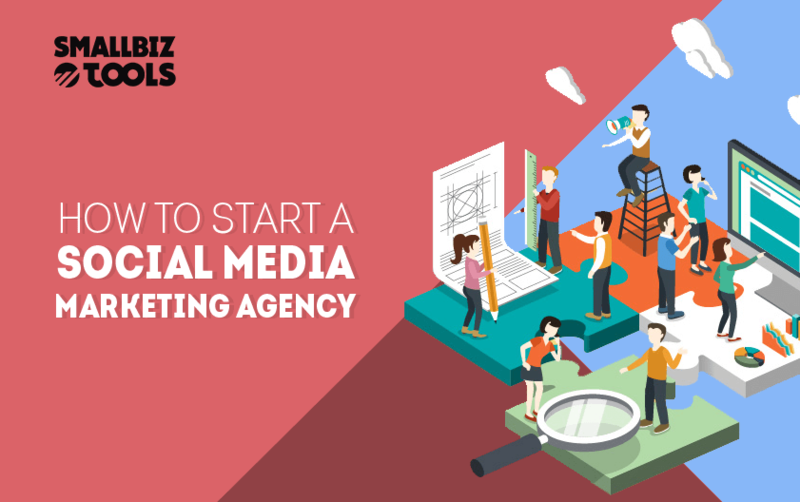 We've put together an actionable and easy to follow guide below on How To Start A Social Media Marketing Agency. If you're someone that has been managing a social account or two as a side hustle. If you're someone that wants to dive into the world of entrepreneurship and social media management. If you're a freelance writer that can't really hold onto the feast or famine lifestyle. THIS GUIDE IS FOR YOU!! What industry or sector do I already understand well? It's important to pick an industry or two where you have a base of knowledge. Maybe your mother was a dentist? Maybe you spent a year or two as a receptionist for a local accountant's office. What is likely to make money for my social media marketing agency? Don't pick industries that don't make money. This is a very simple thing to work against – who is my target market and can they pay me for my services? What is a local opportunity? You're a small player and you need to play small before you play big. Don't imagine yourself as a one-man show running point on social media marketing efforts for big box retail stores, for example. Imagine the owning a set of a dozen or two local real estate broker clients that you have a standard social package. By the way – Real Estate Brokerages; Dentists; Accountants – these are just the obvious targets. You can go after plastic surgeons, or foot clinics. I work with a guy down in Michigan that has ~40 clients across the US, all of which are local iPhone Repair Shops. The possibilities for niche selection are virtually endless (well, not really, but I hope you get the point). What are you selling? Why are you selling it? Let's build a few options into the product range: keep it simple like the Bronze; Silver and; Gold packages. How much will it cost you to run and how much are you going to charge? Please please please build out your products to scale!! This is so freaking important I can't stress this enough. So many social media agencies end up trapped because the principles just spend all of their time writing, editing, filming / taking photos, working ads, etc. etc. You should consider yourself as first a growth operator (salesperson) and second a manager of several talented ends (do as little of the actual work yourself – seriously!) Now back to our pillars, if you're into it you should build out a team for your products. Grab a bunch of freelancers that are graphic artists, content-writers (check Article-Writing.co), and ad technicians so that your products are insanely valuable but also built to scale!! You will now need website hosting, please consider using WPEngine as your wordpress host. Reasons are simple – great websites are hosted on great servers. These guys are wordpress pros and you should be using wordpress. And my god is there support staff spectacular. It's only $29 a month for the basic plan anyway, no a big deal. You will need a wordpress theme, I strongly recommend using DIVI from Elegant Themes. The drag and drop website builder is insanely easy to use and can build wildly powerful websites. It also comes pre-loaded with WooCommerce so you can build subscription based products right into your website! Two more recommendations!! First is 99Designs. You're going to need a logo and some marketing collateral (maybe some banner ads, or a brochure going through your services). Just use 99Designs, this is your best bet! Second, you will need some help crafting conversion oriented website copy… Article-Writing.co has you covered. 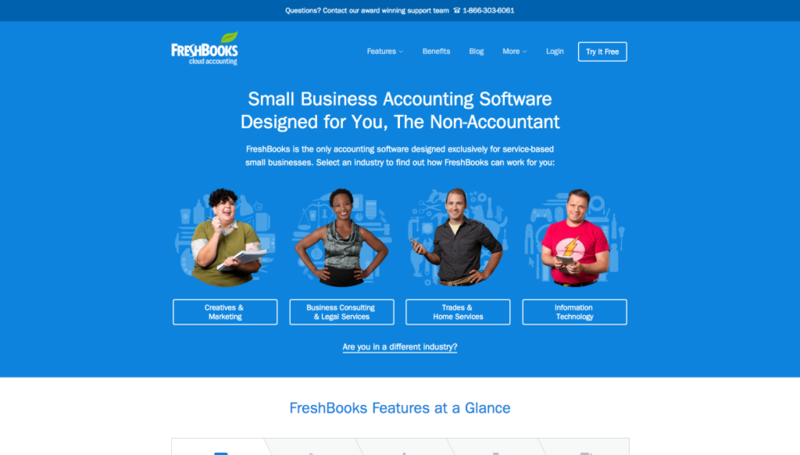 When you’re launching a small business, FreshBooks is your friend. You’re going to have enough tedium and manual tasks to worry about in your social marketing endeavors. Why add accounting to that? FreshBooks automates accounting processes, helping you bill your clients properly and track all your financial operations. You can even try it free for 30 days! If you’ve followed the above actionable recommendations, your new social media marketing agency should be off to a fantastic start! At the very least, you've covered the basics. And honestly, it should not have been that hard. Maybe a full week's worth of your time getting everything up and off the ground. But a business is an entity that makes money, yah? So let's start bringing home the bacon. Seriously, we need some money! We need some clients! You’ve established the niches you wish to target, picked your social media channels, and established a website. Now it’s time to build an amazing base of niche-specific content! You need to prove to your target that you are the expert they need and deserve. Put up at least 1-2 new blog articles every single week direct to your website that proves your authority. Take this article and push it out to social media, get it up on niche groups (using Facebook Groups, LinkedIn Groups, Forums, Google+ Communities, Forums, Reddit, etc.). Really hustle and push it far and wide. Put money behind it using Facebook ads. Remember to target local industry groups whenever possible. For example, you may wish to produce articles along the lines of “I Grew This Local Accountant’s Practice Using Social Media” or “How Dentists Should Be Using Social Media.” This kind of content will specifically serve to illustrate your competency to prospective clients. But more important, since we've picked a niche that we are specifically working in – the work is specifically marketable and attractive within online communities. It's shareable within your target market and will attract the right kind of traffic back to your website! Landing pages are web pages that derive a specific action. A service like Instapage will empower your new social media marketing agency with custom, mobile responsive landing pages designed to build your email list. No coding knowledge is necessary, social and email marketing tools are included, and A/B testing allows you to gain insight into what strategies work best. It's actually a very simple concept that I'd like you to try. I want you to build a cornerstone piece of content (feel free to give us a shout @ Article-Writing.co if you need help with this). An ebook is a good example “How To Dominate Social Media and Generate Leads for your Real Estate Business”. But it can be as simple as a two page PDF detailing the best marketing tools for your niche. We're going to gate this piece of content behind the landing page. Meaning — “put in your first & last name + your email address and we'll email you the free ebook! 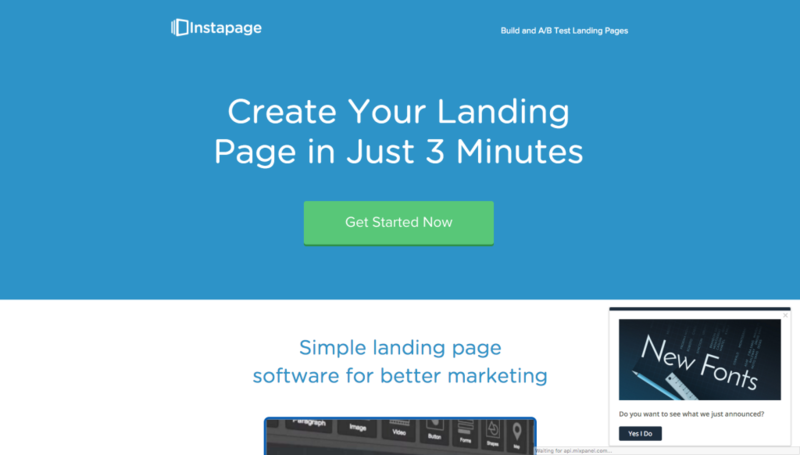 !” Build a beautiful landing page and drive the right traffic to this page. Make sure to promote it to groups and forums and put paid traffic behind it. 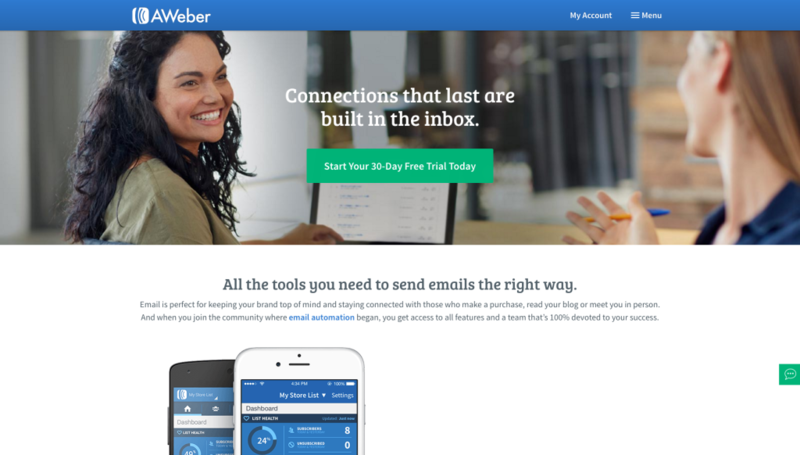 We can’t recommend AWeber enough for emailing your social media marketing agency’s engaged subscriber base. Subscriber importing is a breeze, and automated emails, broadcast emails, and blog broadcast emails are all supported. 3. Build a List of Targets and Hit the Pavement! Use your LinkedIn account. Just as simple as add new connections, send them direct messages. Personalize it. This is hard work but will absolutely get a conversation going! Prep a list of local businesses that you want to target and start to email their decision makers (owners, principles, founders, presidents, marketing managers, etc.) Try using a service like Prospect.io to pull information and leads. Take the same list that you put together from #2 and hit the freakin pavement. Print out a one-pager at the local FedEx Office (hardstock baby) and just hand these suckers out to everyone in your target across the city. Spend 2 hours every morning sending cold linkedin notes. Send out 12 notes an hour to decision makers. Know that for every 24 cold notes you send, we'll get 1 sales call. Know that you can close 10% of your sales calls into deals @ $600 / month. Therefore know that 2 hours every morning for 20 of your month's working days will produce 48 sales calls AND 4.8 new customers. If we round this up to 5 and repeat every month on a $600 / month package (as mentioned early on in this guide) by years end we're looking @ $36k in monthly revenue and $18k in profit. This may sound easy, but it requires a dogged, tireless approach! You must consistently search for, identify, and engage the individuals most likely to generate new business for your fledgling company. You have to be super super active in your industries community. And that's our guide. A little short of 2400 words. Please, there are no guarantees here. This takes hard work, good products that provide real value, serious sales work, etc.